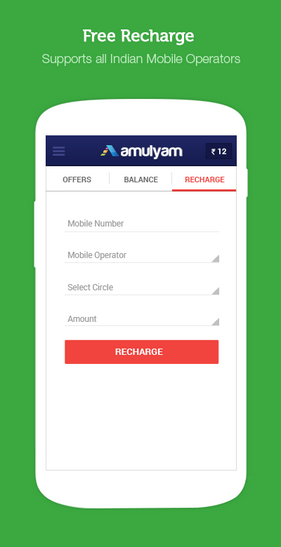 Mobile recharge is one of those unavoidable expenses that we incur at least once per month, if not multiple times. To curb this expenditure of ours there are numerous websites which allow their members to win mobile recharge totally free when they perform certain activities on the websites. Some of these websites have also developed fascinating mobile apps for easier access. 1. 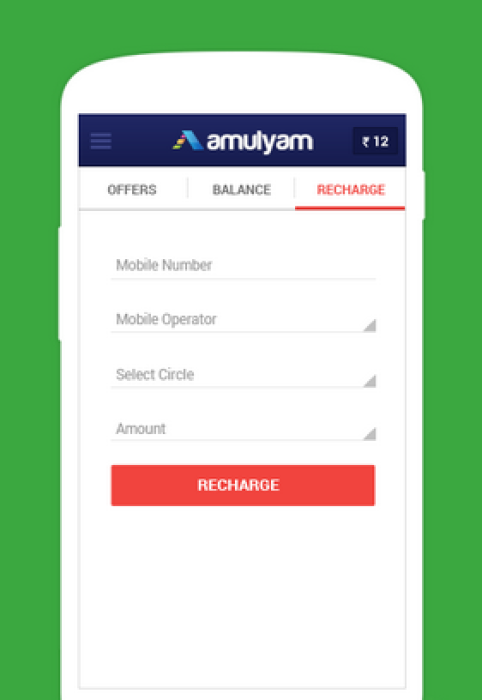 Free Mobile Recharge by Amulyam: Amulyam is one of the most popular and used mobile recharge website of India. It allows members to earn free recharge just by completing offers or by inviting friends over to the website. 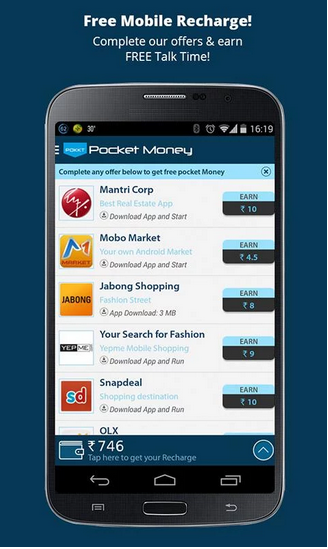 Benefit of mobile app over website is that users also get recharge for installing certain apps on their mobile. However, for any successful recharge to take place, user needs at least Rs. 10 in their account. 2. 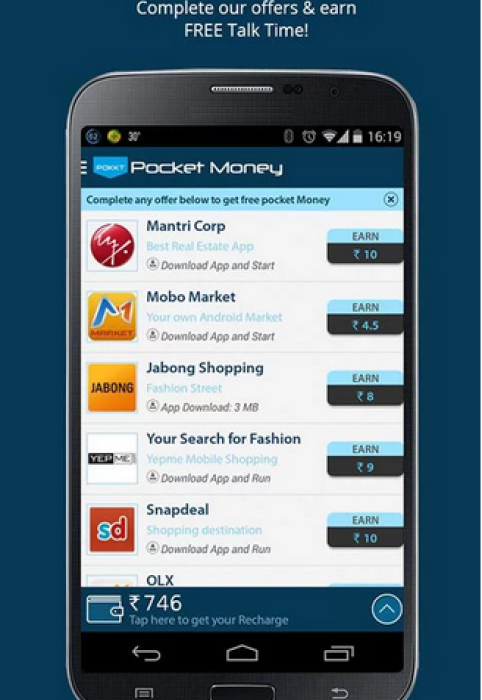 POKKT by Pocket Money: With an average of 4 stars accorded by more than 1 lakh users, this app by Pocket Money is one of the most preferred application to be used on Android mobiles. 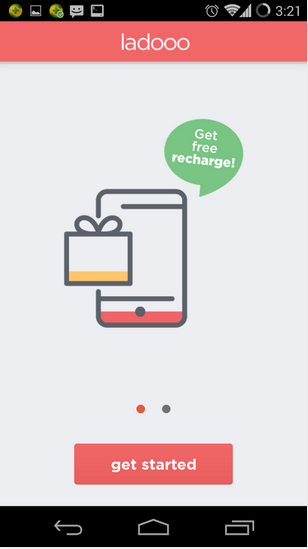 To earn free recharge, people only have to complete offers and download selected apps, apart from inviting friends to do the same. The best part is that you don’t have to become a member of the website to get this recharge money. 3. Z by Ziptt: This app awards member with free recharge for their mobile by performing activities like logging in everyday, registering with various websites, downloading certain apps, inviting friends and many more fun ways. 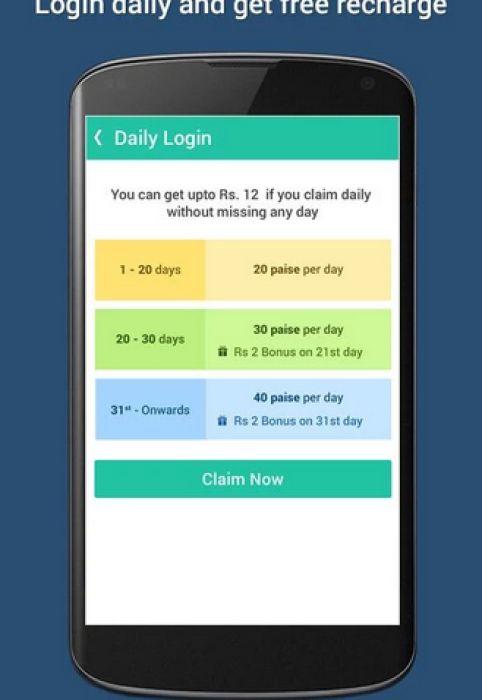 For more information and other interesting ways of earning mobile recharge logon to ziptt.com. 4. 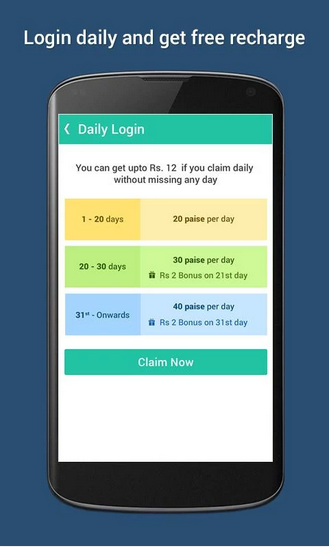 Ladooo by Airloyal: Simple and easy to use interface offers an even more enriching experience of earning free recharge across network platforms like Airtel, BSNL, Loop Mobile, MTS, Vodafone, Reliance etc. 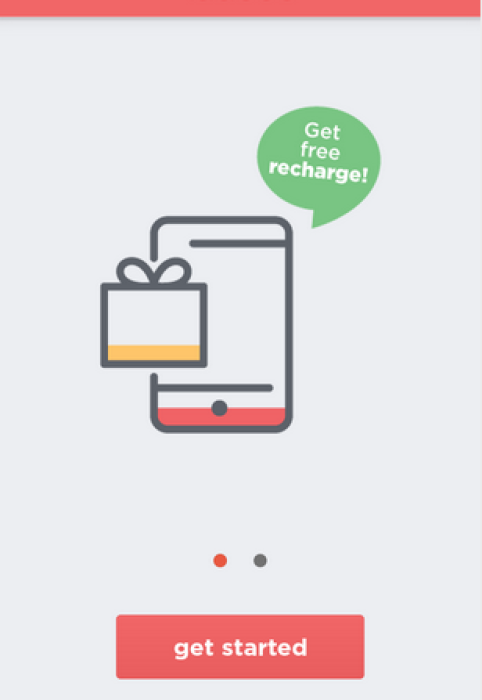 Just complete offers provided by the app, which change at least two times per week, download selected apps and invite friends via Facebook or WhatsApp to earn recharge for your mobile without shelling out a single penny. Although there are many website online which provide same services to their users of free recharge for participating in certain activities like completing survey forms, playing games etc. the mobile apps trump over them as they provide recharge in a faster way along with offering even more options of earning recharge.